The firewall protection and configuration features are the same for both categories. In most cases, the hardware is the same as well. The difference is whether additional SoftPLC product functions are also included in the firmware or not. Hardware features vary by model, refer to specifications. If you need a hardware configuration not shown, contact us for custom or alternative offerings. Setup and configuration of the Smart Netbox is via an included utility program, accessed through an Ethernet port or the serial console. Any Smart family product can include firewall capability with a firmware add-on. The Firewall can be configured to protect both Ethernet and PPP communications. 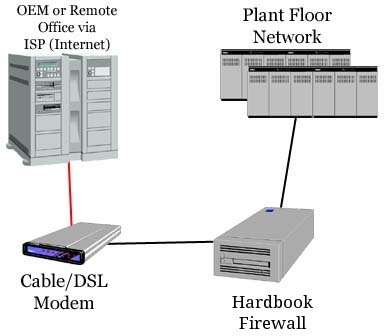 A Smart Netbox can be a stand-alone industrial firewall and secure router. It is a value-priced offering for a ruggedized VPN for remote access, for protecting an industrial network from the business network, or for other similar needs. A Smart SoftPLC or Smart Gateway provides built-in security, eliminating the need for a stand-alone firewall. Any Hardbook can be a firewall/router. 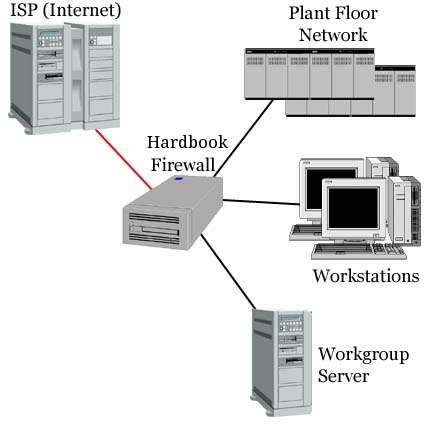 All Hardbooks have at least 2 Ethernet interfaces. Some models can be equipped with additional interfaces or ports, of any type of port - 10/100 BaseT, Gigabaud, Fiber, etc. Let us know your network configuration and goals - we'll match those with our best fit solution for your application. A Gatecraft Shield is a stand-alone industrial firewall and secure router. It is a value-priced offering for a ruggedized VPN for remote access, for protecting an industrial network from the business network, or for other similar needs. A Hardbook SoftPLC provides built-in security in a Programmable Automation Controller, eliminating the need for a separate firewall. Configuration manual for Smart Netbox and other Smart family products.